Raffaello Carboni, an accomplished writer and composer, was born in Urbino, Italy, in 1817 and became active in the Young Italy movement during the 1840s. From 1849 he lived mainly in London until he was lured to the Australian colonies by the discovery of gold in 1852. 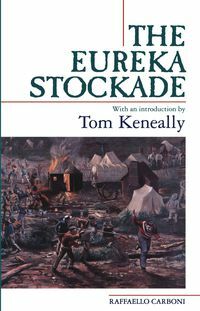 His revolutionary experience and linguistic skills were recognised by Peter Lalor, who appointed him to organise the European contingent at the Eureka Stockade. In 1856 Carboni returned to Italy, where he was involved in the nationalist movement and continued to publish literary and musical works. He died in Rome in 1875.